Becket House - iNGLEBY TRICE. The building benefits from an excellent City core location, on the corner of Poultry and Old Jewry. Bank Underground station is only a 2 minute walk and St Paul’s Underground station is c 4 minutes’ walk. 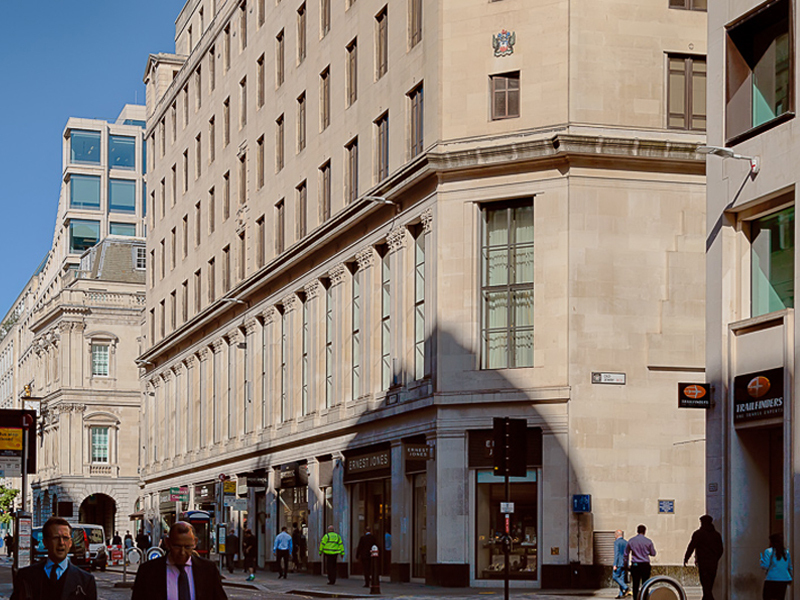 The building is conveniently situated, close to the vibrant areas of Cheapside, One New Change, Bow Lane and Royal Exchange, which provide fantastic leisure, retail and restaurant local occupiers. LEASE: A new effective FRI lease is available for a term by arrangement directly from the landlord, “outside the 1954 Landlord and Tenant Act”.